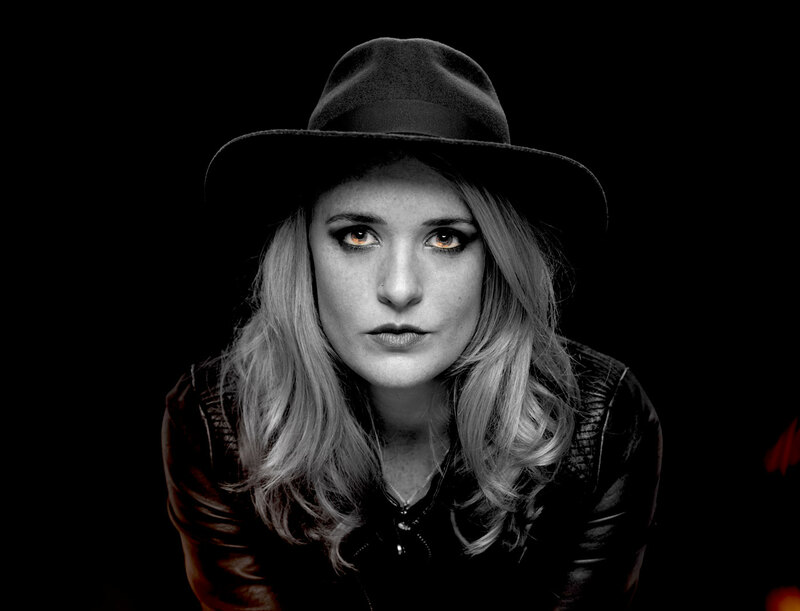 Bristol based Elles Bailey seamlessly weaves rootsy blues, country and soulful rock with a contemporary edge and her trademark ‘smoky vocals’ taking the lead. Her husky toned, lived-in voice sounds like she has a 60-a-day habit, but was actually caused by a serious illness. Her two EP's, both produced by Brian Banks, (Michael Jackson, Lionel Richie) 'Who I Am To Me' (Feb 2015) and 'The Elberton Sessions' (Oct 2016) were released to critical acclaim, and her debut album is set to drop Spring 2017. No stranger to the scene, over the last three years, this captivating, hard-working songstress and her talented band have built up a loyal all-age fan base through relentless touring, through both the UK and Europe. She’s opened for Wille & The Bandits, Jo Harman and shared festival line-ups with Lisa Simone, The Mystery Jets & Wilko Johnson. You have quite a unique voice, how did that come about and your start as an artist? “I have a really husky voice as when I was 3 years old I got really sick. So sick in fact I was in a coma and the doctors had to put a tube down my throat. When I came out of hospital I couldn’t walk or talk and the docs said I may be brain damaged but surprisingly I made a very fast recovery. We saw a specialist and he told my parents, ‘It’s not too bad & If she ends up becoming a singer, she’ll be great singing the blues!’ I don’t sing blues in the strictest sense of the word - I mix in soul and other elements as about 10 years ago I was in an indie-pop band opening for the likes of Scouting For Girls. 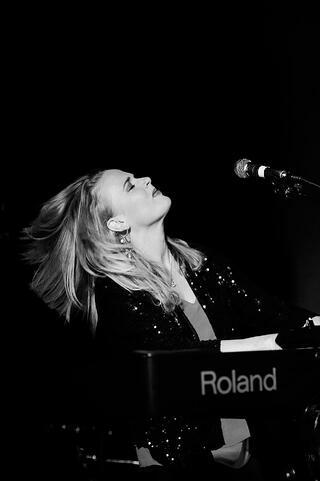 "I then went to university and studied Psychology and it was during the last year that I holed myself away and starting putting ‘Elles Bailey’ together writing, learning piano and playing with people. The first EP I recorded I never released as it wasn’t cohesive enough and wasn’t quite me. It wasn’t until I got the touring band together (Joe Wilkins on guitar, Zak Ranyard on bass, Tom Gilkes/Andy Sutor on drums with guest appearances from Jonny Henderson on B3 Hammond Organ) that things started to really work. How much collaboration do you do and how do you go about supporting yourself as a DIY musician? “I write with people all of the time. I don’t write for others as yet, but songwriting and publishing is where you can sustain an income certainly. In Nashville I met lots of writers and session musicians who would churn out song after song. I met Roger Cook over there, who’s incidentally from Bristol, who wrote for a Coca Cola advert ‘I’d like to teach the world to sing’. He made a living off of that one song let alone the hundreds of other number 1 songs he wrote. Working with someone who is very creative and focused inspires - its doesnt take long to wrote a song with someone like Roger. If you’re a songwriter, I say get out there, meet people and collaborate as much as you can. It’s amazing for tapping into their creativity, fan base and being a DIY musician it opens a lot of doors. "Booking gigs wise you can have agents, which I have, but doing it yourself is also a good idea as I tend to book a lot of my tours. There’s some really good promoters and booking agents out there, but also some that aren’t so good or as easy to deal with. You have to remember that there is a lot of people doing the same so there is competition but you should always be willing to work with others and not against them. A lot of venues will want you to be able to bring X amount of people and you’ll get paid £1 or £2, if you’re lucky, per ticket. That’s easier on your own patch but If you’re playing out of your own town, you have to get your band there, pay your band (always pay your band! ), feed and water your band all before you’ve looked after yourself! Personally, I hate the ticket cut/pay to play model and think that some promoters and venues can do more for up and coming artists. One festival gig I had booked, it was quite a trek away so in order to cover costs I booked up a string of gigs in between Bristol and the venue. This in turn made money and made the whole trip musically worthwhile playing to new crowds and at a cool festival. Your shows are are a mix of energy and intimate moments, what advice do you have for performers? “I’ve toured all over the UK and there are pockets of some places where the audience are crazy and others are quite reserved. Bristol is reserved compared to somewhere like Leeds where it’s a party every gig! It’s great to have different audiences and be able to respond to them in different ways. Songwriting to me is a very personal thing. On stage, I tell the audience why I write songs and what they are about as it’s all about telling a story and connecting with the audience. One of the guys earlier mentioned that they were telling jokes on stage - if it works, then it works but if it doesn’t, take something from that also! You have to be willing to try things and it’s through playing lots of gigs, picking apart performances in rehearsal and working on specific parts that you’ll gain confidence and craft also.